Episode 11: What do you do when life gets hard? Our natural response to a problem is often anxiety or fear. Think about the first time you spoke in front of an audience or the last time you did something you had never done before; do you remember how hard your heart was pounding in your chest? Your brain did that. When your brain sensed danger it sent set off an alarm in your body. Your brain is an amazing organ. It has so many functions. One function is to protect you…the first responder part of your brain sends off those warning signals to help you either fight or run. It wants you to avoid anything and everything that causes you pain. But there’s a problem…the part of the brain that recognizes danger (the Amygdala) can’t distinguish between real danger and potential danger. When you experience pain your brain tells you something like, “This is awful—gotta stop this pain!” All pain isn’t bad. It hurts, that’s not good, but it’s necessary pain. Every pregnant mom understands that labor pains are not bad, they mean she is about to give birth. She understands that this pain is normal and she prepares herself with skills to manage the pain. Even though you are believer, you are not exempt from pain. It is painful to push through the obstacles of building a business, raising kids or pursuing a dream. A timid person has to push through the fear of meeting new people or making those sales calls. Successful people have to push through fear and/or a myriad of obstacles that is just part of reaching your goal. Whether you push through that pain to reach your goal or stop in the middle of the pain begins with your thoughts. A wrong attitude about pain makes you look at your problem through the dark lens of hopelessness. I have held on to that promise so many times…so many times. 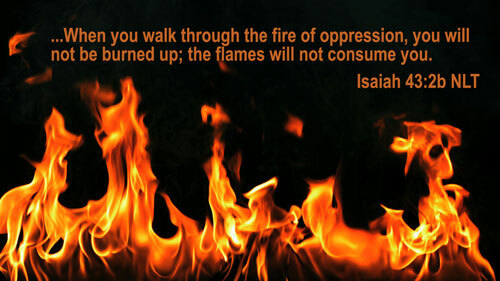 God has always, always brought me through the fire. I’ve been burned by relationships and situations; but now I am healed. 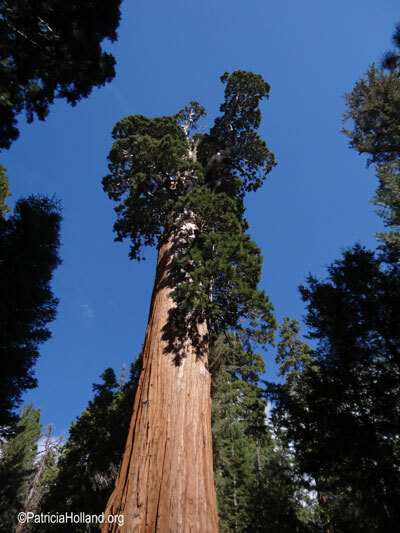 Sequoias are magnificent giant trees that live only in the Sierra Nevada Mountains. Many are over a thousand years old. In spite of the fact that they are fire resistant they are fire dependent. 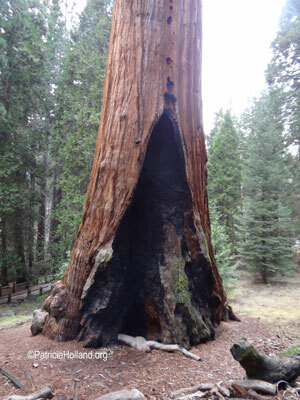 Every sequoia that has stood the tests of time has a fire story. They have black scars that declare their story of pain and their testimony of healing. Because a Sequoia is bug, drought and disease resistant, fire and shallow roots are it’s major weakness. Sometimes although a Sequoia is fire resistant, a major fire can burn through its fire resistant, thick, fibrous bark seriously wounding the tree. The fire hurts…but in God’s divine nature He designed a healing process for trees and people. When it comes to people, sometimes healing is a process…sometimes it is a miracle. In trees it is a process that leaves a dark scar. The scar is a reminder, a testimony that this is a place that healed. You may think the scar is ugly, but to the tree it is the difference between life and death. Don’t let your story end with the pain. Some people never let God heal them so their story ends with the pain. Wounds that don’t heal get gangrene…and you know how serious that is. Does your scar say, ”This is where a healing took place” or “Ouch! Don’t touch me!” Don’t waste your pain; your scar can be the triumphant story of God’s healing. I’m going to talk about more about brokenness in a later podcast. This attitude shift comes by changing the way you mentally approach problems. It helps to talk to your self. I recently had a problem in my business. Instead of being overwhelmed with anxiety, I grabbed my attitude by the nap of the neck and told myself, “I am about to see God show up in a powerful way.” I felt God’s peace flood my heart as soon as I said those words. Some folks say look for the good in your problem, but this verse reminds us to look for God when we have a problem. He’ll turn it or put it together in such a way that is produces something valuable, something good in or for us. Promises like these allow the light of hope into our situation. Light helps you see things differently. Hope helps you feel differently. 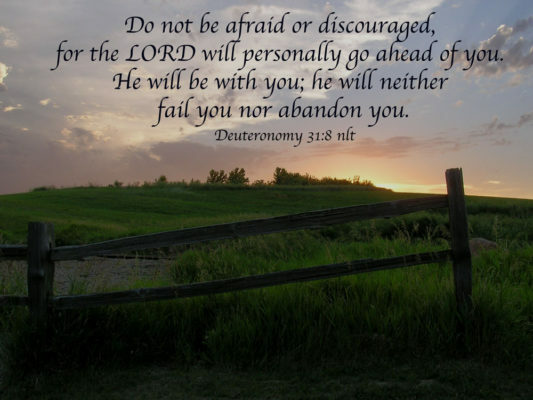 When you go through a problem find a verse(s) that fits your situation. Put it in a special notebook or note cards so you can grab them quickly and nourish your thinking. When you read the verse, think about its meaning. Pray the verse. Turn the verse into a faith declaration. Find a song that fits the situation or one that encourages your heart and play it on repeat. Refocus your thoughts on His promises when your mind wants to worry. James 1: 2 Consider it a sheer gift, friends, when tests and challenges come at you from all sides. You know that under pressure, your faith-life is forced into the open and shows its true colors. So don’t try to get out of anything prematurely. Let it do its work so you become mature and well developed, not deficient in any way. Consider my problem a gift? Wow! That thought is an attitude changer. Henry Ford wanted to produce an affordable car. Andrew Carnegie wanted to produce affordable steel. Bill Gates wanted to put a computer on every desk and in every home. There were so many problems, obstacles and challenges that stood between them and their dream. At the time it seemed impossible, but they found a way. and the world is a different place because they did! Earlier I said that sequoias are fire dependent, it needs a fire to reproduce. Sounds crazy, huh! 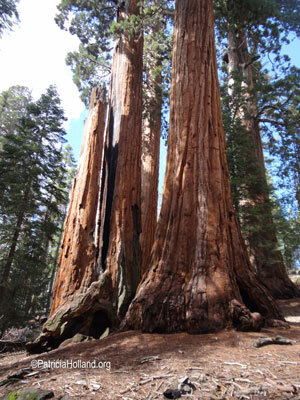 Most of the Sequoias grow in areas that are now National Parks (NPS). Because they are so rare and magnificent, the park service took their responsibility to protect the Sequoias very seriously. Anytime there was a fire, whether it was ignited by lightning or carelessness, the NPS extinguished it with the same intensity you would put out a house fire. But they soon noticed there were no new sprouts. And they also noticed that when a fire got started it was much harder to extinguish because the lack of regular fires allowed the dry shed limbs and the kindling growing around the Sequoia to accumulated. The piles of dry kindling made huge, very hot fires. but their cones are small, about the size of a hen’s egg. Locked inside these green cones are lots of seeds about the size of a piece of oatmeal. Those green seed bearing cones will hang on the sequoia for up to 20 years. The cones need a fire to dry them so they can release their seeds. But first the ground needs a fire…underneath the tree is a heavy mat of thatch, that would literally choke and smoother the seed. Growing around the sequoia is a variety of smaller trees that are gobbling up the nutrients in the soil. When a fire comes it removes the thatch mat and the competition. After a fire, the ground is nourished and ready to grow the baby giant. Removes the competition that hinders their growth. As the fire is burning up the heavy thatch and underbrush, the heat from the fire drafts up the tree and dries out the cones. As the cones dry out they open like a flower, releasing seeds onto prepared ground. Now a new sequoia can begin to grow. Are you going through a fire? Stop trying to put out the fire. Stop trying to run from the fire. Look for God. 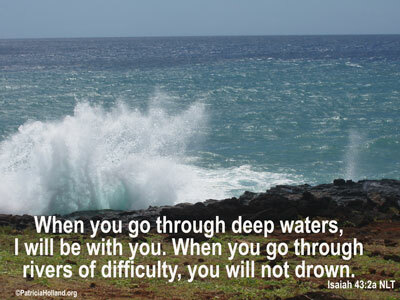 God is able to bring good things out of bad circumstances. God is able to bring growth in you that will enrich your life instead of destroy it. 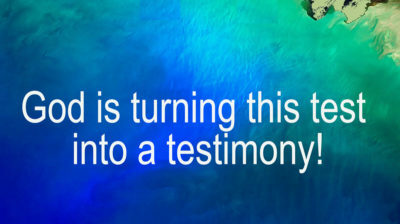 Yes, your test can produce a powerful testimony. Don’t miss the next session we will look at How to develop a problem solving mind set. This entry was posted in Emotions, Encouragement, Stress, Thoughts. Bookmark the permalink.